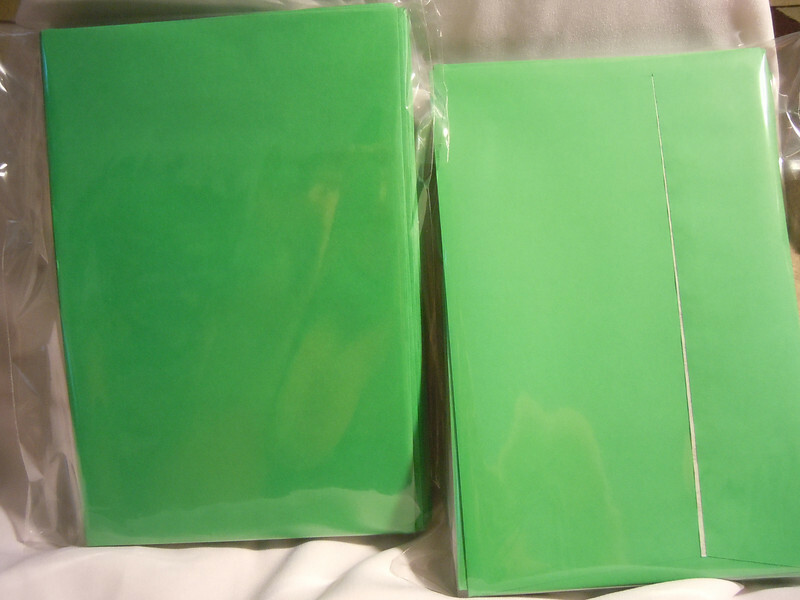 Ampad brand Release and Seal A9 Greeting Card Size Envelopes, 5 3/4"x8 3/4", Green. They have squared flaps and a easy pull seal to close the envelopes. There are 8 dozen in total. Each dozen is $1.